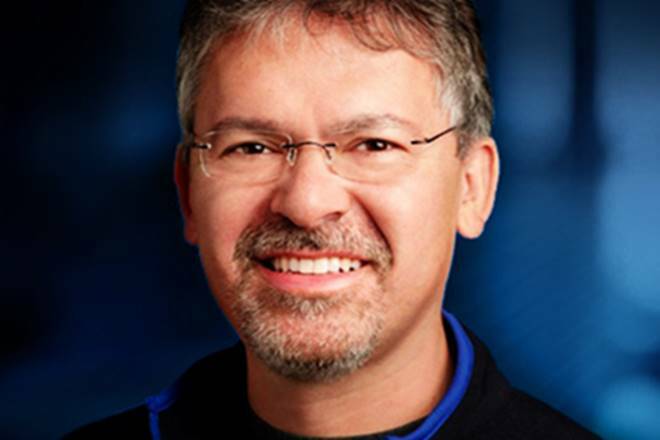 Starting today, John Giannandrea heads the team improving the Siri voice assistant. John Giannandrea used to run Google’s artificial intelligence division, but now he works for Apple. He’s leading the drive to make the company’s Siri voice assistant smarter, a goal many would agree is overdue. This is the most high-profile move yet in Apple’s ongoing drive to hire more talent for the Siri team. Giannandrea came to Google in 2010. He helped make AI and machine learning part of all the company’s products, from search to Gmail. And now he’s doing that for Apple. “John shares our commitment to privacy and our thoughtful approach as we make computers even smarter and more personal,” Apple CEO Time Cook wrote in an email to employees obtained by The New York Times. Apple’s voice assistant debuted in the iPhone 4S, and today is integrated into almost all the company’s computers. It’s one of the major ways of controlling the new HomePod smart speaker, even though it’s not really up to the job. Siri is widely criticized for falling behind rivals, including Google Assistant, which Giannandrea helped develop. Part of the reason for Siri’s shortcomings is Apple’s privacy stance. The company places a premium on privacy. It employs something called differential privacy (.pdf), steadfastly refusing to gather data about individuals the way Google, Facebook and other tech giants do. According to information that recently leaked from Apple, there’s been an internal debate for years on whether to make Siri able to handle much more complex tasks, or to leave the voice assistant as the simple tool it has been up until now. The winner of that debate seems to be clear. In addition to bringing on one of the top names in AI, Apple recently posted more than a hundred job openings for the Siri team. If all this bears fruit, then Apple will have a voice assistant that the company can be proud of. And, more importantly, one that can stand up to tough competition from Google Assistant and Amazon’s Alexa.